The music of horror in movies has been defined by a few composers. One of them is Alan Howarth. He’s from The Beatles generation and came up in the psychedelic era and the birth of electronic music. He’s best known for working with director John Carpenter in the 1970s on films like the Halloween sequels, Christine and Escape From New York. 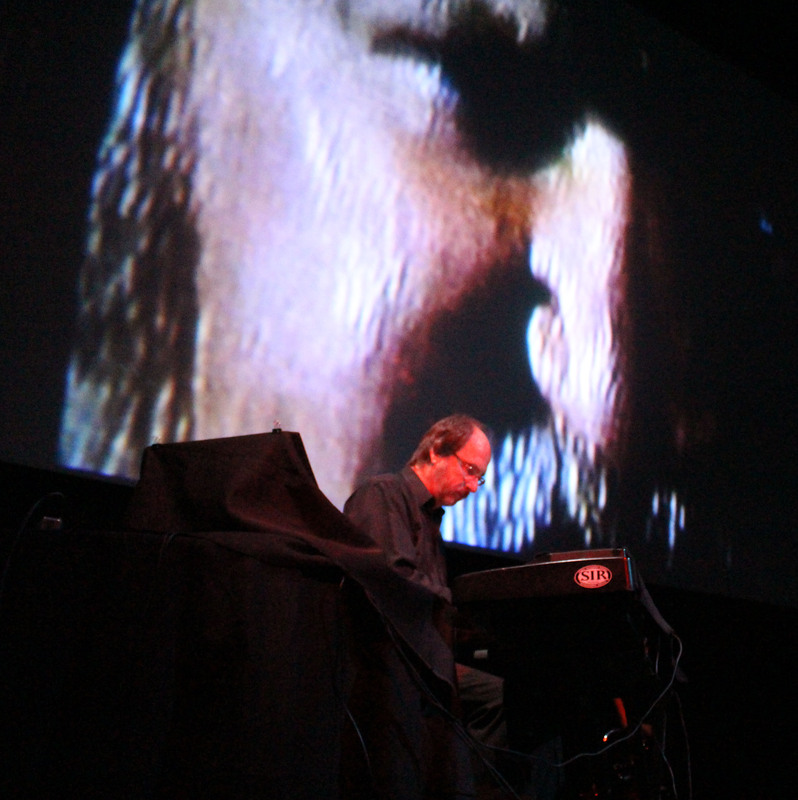 Last fall, Alan Howarth Played a set of his film music at the Mountain Oasis Electronic Music Summit performing against a backdrop of film clips with lots of Michael Myers and Snake Plissken. 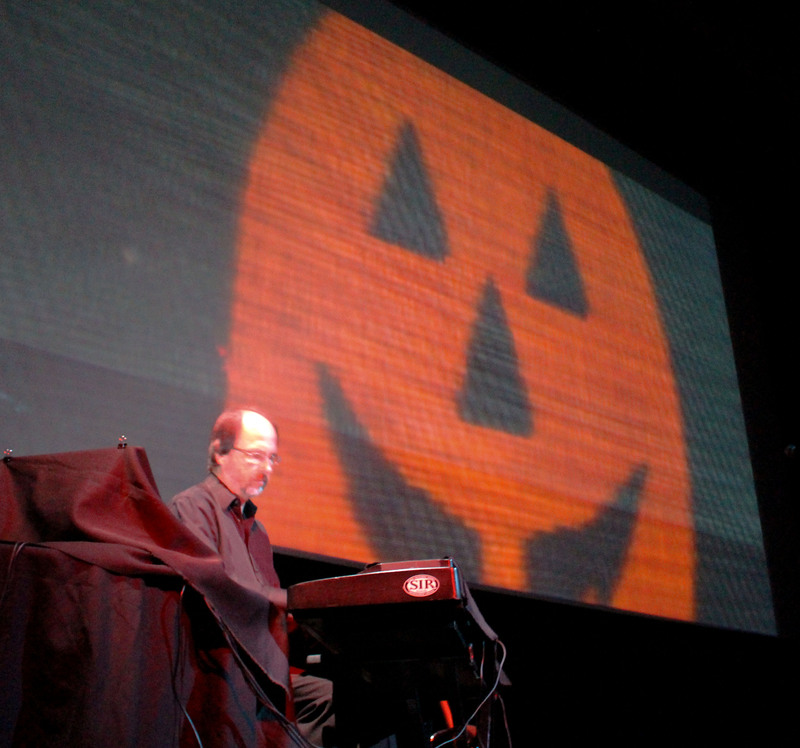 I talked with Alan Howarth about the sound of horror. 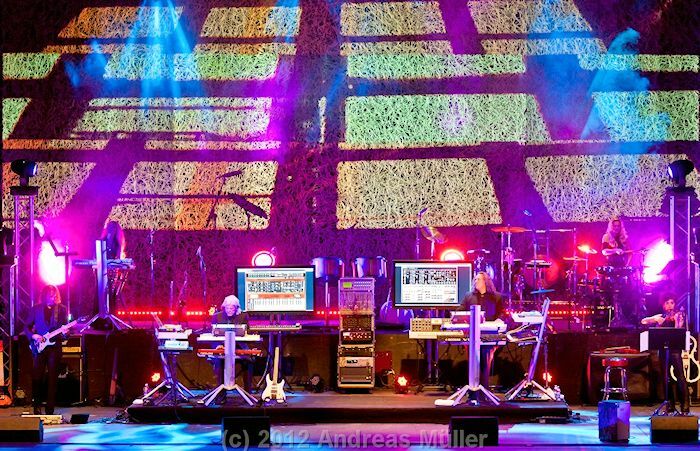 There is a nice review of Tangerine Dream’s show in NYC by Jon Pareles in the New York Times. Nice to see a balanced POV in the mainstream media. Apparently, while they had a bigger venue in New York than Philadelphia, they did not have a bigger audience. Only a few hundred according to reports. I’m seeing that we really got gypped in Philly regarding playing time and set-list. I think they played about half of this at their Philadelphia show at the Underground Arts Theater. .
“Stratosfear!” “Phaedra!” “Horizon!” We wuz robbed. 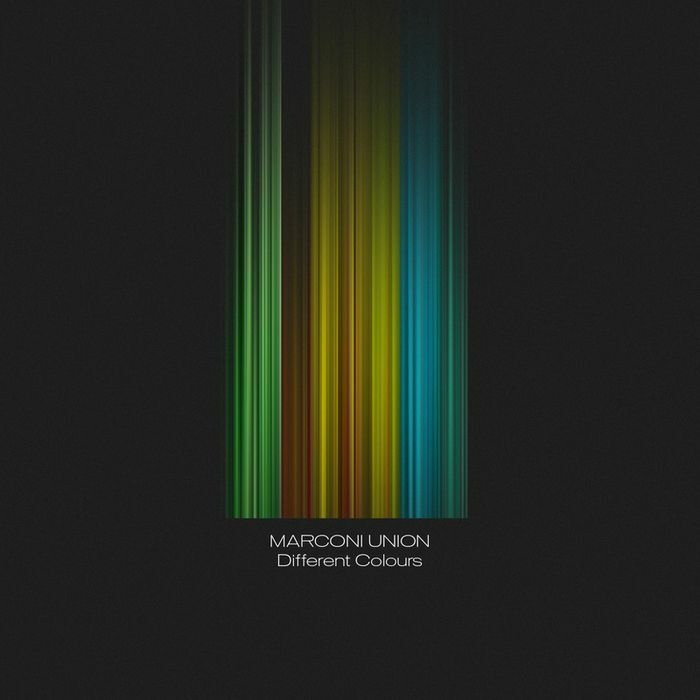 If you like Tangerine Dream then you want to check out the latest album from Marconi Union called Different Colours. Click on the link for review and several complete tracks. You get great CDs like this by becoming a member of the Echoes CD of the Month Club. Follo w the link and see what you’ve been missing. Join us on Facebook where you’ll get all the Echoes news so you won’t be left behind the next time Tangerine Dream comes around. 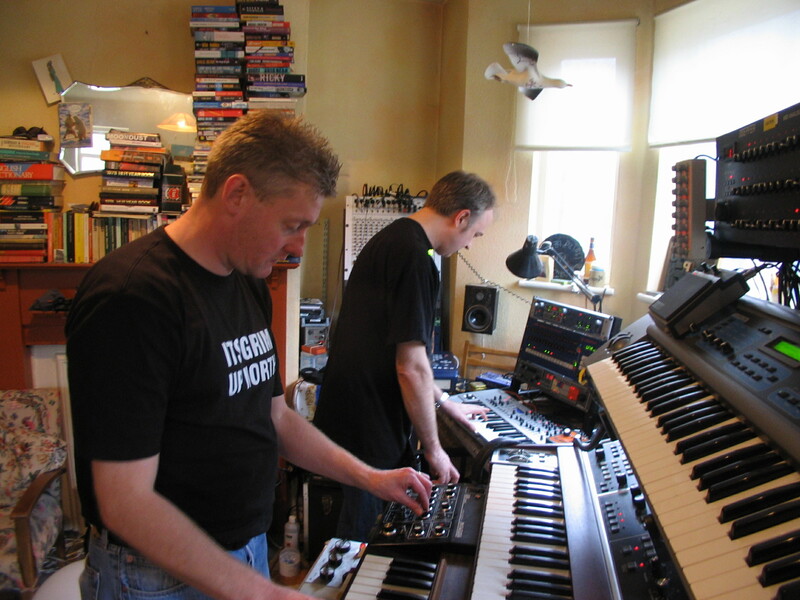 RMI’s Steve Dinsdale & Duncan Godard in Live Echoes performance in Duncan’s London flat. I got a notice from Chuck Van Zyl, the producer and host of WXPN‘s Star’s End and one half of The Ministry of Inside Things about a live solo performance this Sunday, April 15 at 7:00 PM at the AxD Gallery, 265 S. 10th Street in Philadelphia. (It’s a static site and there’s no info about the performance on there) It’s a free gig. Chuck posted this video of a live performance with stills from various gigs. It’s a very cool live excursion of vintage mid-70s’ Tangerine Dream style electronics. performance. I’ve seen RMI many times and they’ve been live on Echoes a few times as well. One of their performances is on our CD, Resonance. This is one of the best live segments from them that I’ve ever heard. There are times when I hear music like this and think, “Guys, it’s the 21st century already.” Then there are times when I listen to performances like these and think it’s the most amazing sound of the last century, period. Those analog synths and sequencers still take you places that no other music can reach. I hope you enjoyed this celestial trip from your humble space travel agent. Swing into the Echoes CD of the Month Club. By becoming a member you can get great music like Thierry David’s Stellar Connection, our April selection. Follow the link and see what you’ve been missing. You can hear tracks, read the review and check out previous picks. Join us on Facebook where you’ll get all the Echoes news including updates about blogs like this. Those of you who are old enough might remember Synapse magazine. When electronic music represented the brave new frontier of sound, Synapse was the leading source documenting this movement in the late 1970s and early 1980s. Zappa, Eno, Fripp, Stockhausen, Devo and other artists famous enough to be referred to only by their surnames, adorned their covers along with Tonto, , Kraftwerk, Tangerine Dream and more. It was the new music magazine I would’ve wanted to produce and write for. And notable writers did, among them Kurt Loder and David Fricke. Bruce Warren from Echoes affiliate WXPN and somevelvetblog just emailed me that an archive of Synapse magazines has been put on-line for you to peruse at Dangerous Minds. If you want some great interviews with artists who were the pioneers of electronic music, go and read. They’re on the Dangerous Minds website. Swing into the Echoes CD of the Month Club. By becoming a member you can get great music like Thierry David’s Stellar Connection, our April selection. F ollow the link and see what you’ve been missing. You can hear tracks, read the review and check out previous picks. Join us on Facebook where you’ll get all the Echoes news ncluding updates about blogs like this. Echoes has popped up in a few places recently. Agnes Obel’s Philharmonics was our January CD of the Month, and we’re quoted in an article on the Danish singer in Time Magazine. And, back in 1984, I interviewed Malcolm Cecil, one half of the synthesizer duo, Tonto’s Expanding Headband. 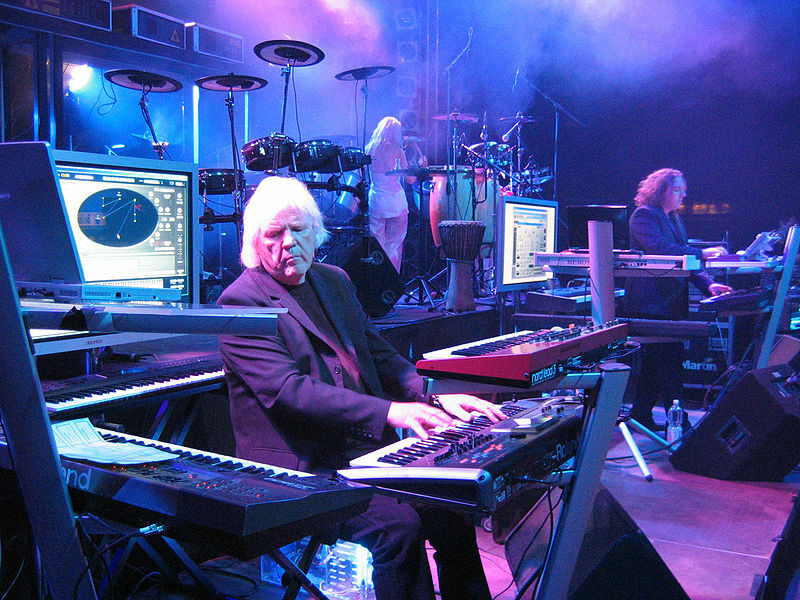 Their 1972 album, Zero Time, was a seminal recording of electronic space music. The interview was originally used in the radio series Totally Wired and was printed in Keyboard Magazine. That article appears in a new book called Synth Gods. Five Essential Robert Rich CDs Plus Two. The Best from Robert Rich, One of 20 Icons of Echoes. Few artists have cut a creative swath over the last thirty years as consistently and with as much innovation as Robert Rich. Each one of his nearly 40 albums is a meticulously crafted, creatively conceived work that reveal the fingerprints of an obsessive mind and deep soul. 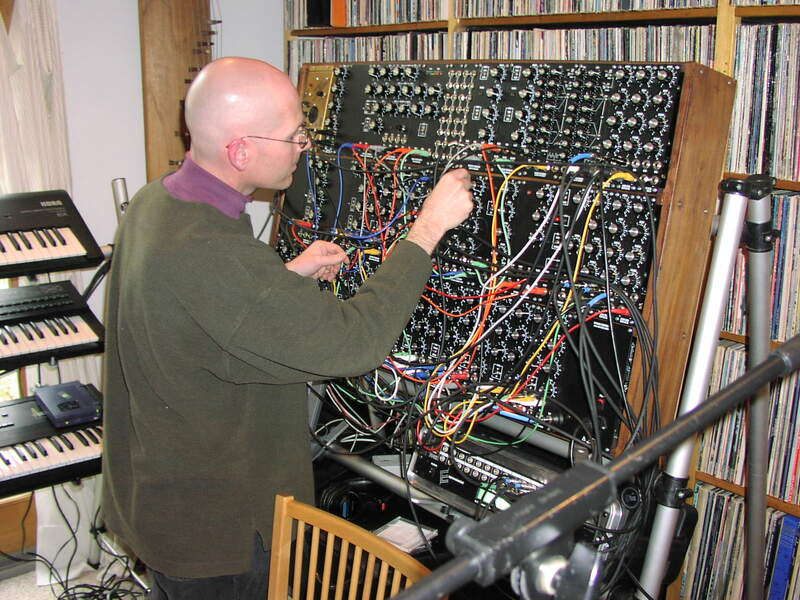 Whether playing analog synthesizers, blowing into PVC flutes, or stroking the the strings of a lap steel guitar through waves of processing, Robert Rich approaches each work with a conceptual grounding and an understanding of the sensuality of sound. Robert Rich was voted #14 of 20 Icons of Echoes. We’ll be featuring an interview with him tonight, June 15 on Echoes. Picking out five Robert Rich albums is difficult, and picking out a number one CD out of dozens of perfect CDs is impossible. But here’s the Robert Rich albums that have moved me over the last three decades. For me this is Robert Rich’s techno-tribal manifesto. He mixes primal, earth shaking percussive rhythms, flute melodies that weave in smokey contrails and lap steel solos that alternately descend like gossamer wings from the heavens and arise like avenging angels from hell. It’s a powerful and defining album that laid the groundwork for other great CDs like Seven Veils and Ylang. Rich dials up the electric juice on Electric Ladder, creating deep cyclical patterns, churning analog atmospheres and paying homage to some of his influences, especially Terry Riley. Riley’s “A Rainbow In Curved Air” cycles are echoed in the title track against feedback lap steel guitar and on “Poppy Fields” soprano saxophone from Paul Hanson nods to Riley’s “Poppy Nogood and the Phantom Band.” But while the influences are there, it also reveals how much Rich has subsumed them into his own aesthetic. This is the album that really established Robert Rich. It’s a zen garden walk as Robert Rich takes you deeper from gamelan Bach cycles on “The Forest Dreams of Back” to deep sonic meditiations on “The Raining Room.” Even in 1989, Rich was avoiding the usual cliches. Instead of using environmental sounds like every other space/ambient composer at the time, he created his own jungles of insects, birds and streams electronically. This is a bit of a cheat on my part. This package pairs Robert Rich’s second and third albums, Trances and Drones from 1983, but also includes a track from his 1982 debut, Sunyata. It’s hard to believe that Sunyata was recorded nearly 30 years ago when Robert Rich was only 19. He was involved as a researcher with dream studies at Stanford University and was already performing his sleep concerts. These were all night affairs, true “chill out” rooms where the audience came with sleeping bags and curled up to Rich’s subtle, shifting soundscapes, providing a soundtrack for their dreams. His first 3 albums emerged from this experience. These are remarkably detailed soundscapes which, like looking at a forest carpet, reveal more and more the deeper you go. For a contemporary iteration of this sound, listen to Rich’s 7-hour DVD, Somnium, or the more concise, 3-CD set, Humidity. I’ve only included Robert Rich’s solo albums above, but he’s also made some extraordinary collaborative releases. Here are two of the best. Robert Rich and Steve Roach are often spoken of in the same breadth, but the two have only collaborated on a full album twice, and both are brilliant. Strata was the first and it’s the definitive techno tribal album mixing primal rhythms, churning, canyon ripped layers of texture and melodies that are etched from flutes, lap steel and digeridoo. 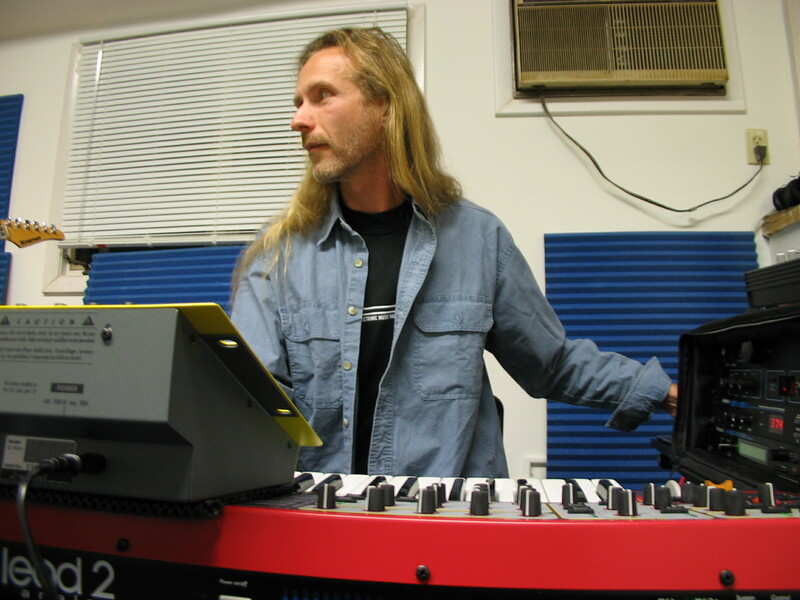 Robert Rich has gotten together on three CDs with synthesist Ian Boddy. They explore analog electronic grooves and symetrical structures on their first outing, Outpost. It shows how far post-Tangerine Dream electronics can go when you leave Berlin behind and push for the edges of the universe. Kinetic grooves, enveloping textures and soaring melodies make this a must-have for any navigator of space music. Tonight, June 16 on Echoes, we’ll feature a retrospective interview with Robert Rich, one of 20 Icons of Echoes. You can read a complete review of Ylang and hear an audio podcast with music from Ylang here.